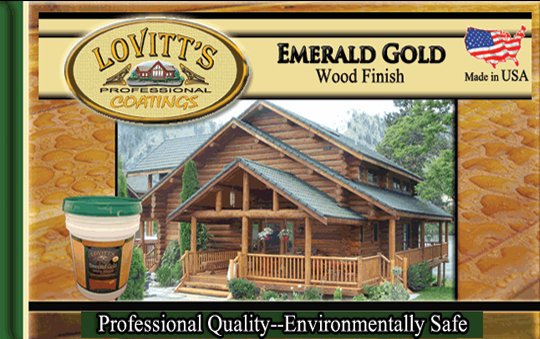 Emerald Gold protects and enhances the natural beauty of wood surfaces. 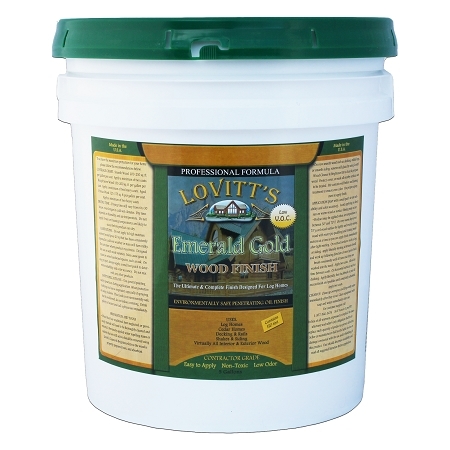 Lovitt's Emerald Gold is an eco-friendly, penetrating, natural oil wood finish that is remarkably durable and stable. We've combined the best properties of renewable alkyd oils and water based micro-polymer acrylic resins to create this advanced "oil based water borne" finish. With our technology, water and oil do mix without separating! The combination of premium oils and resins contained in Emerald Gold penetrates into the wood pores to form a powerful bond within the woods structural cells. Our state of the art HD (high definition) tinting provides eye-popping grain clarity and extreme UV protection from the suns damaging rays. Low V.O.C (odor) at less than 119 gr. per liter! 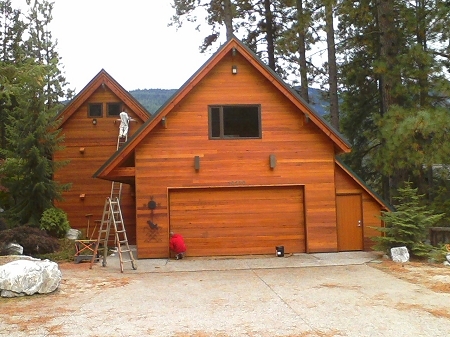 Versatile — so safe you can treat interior wood also! Oil based with water clean up - Non Flammable! Can be sprayed and back brushed like an oil finish - Deep Penetrating! Does not need to be stripped before re-application. 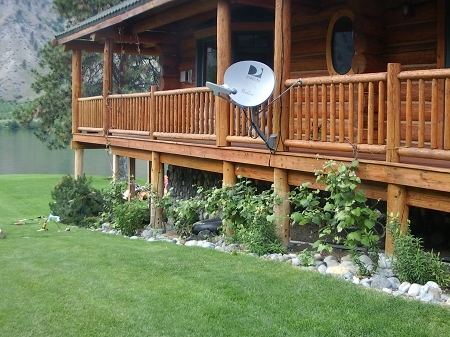 Reduces tannin bleed, cupping, warping, and checking on siding. Can be applied to wood with as high as 21% moisture - Effective on new wood! 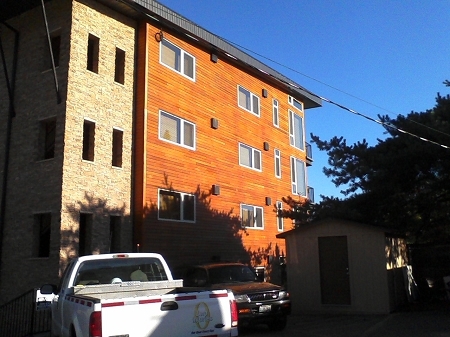 Breathable film - allows wood to breathe naturally. No soft oils to attract dirt, and subsequent mold and mildew formation. Provides an easy to clean wood surface. 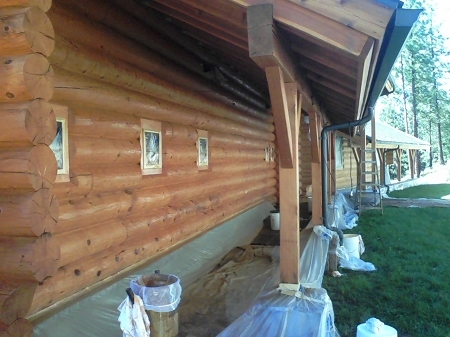 After many weeks of washing (cleaner kits worked perfect) and sanding our log home it was a relief to finally apply our Emerald gold stain in the honey color. WOW! 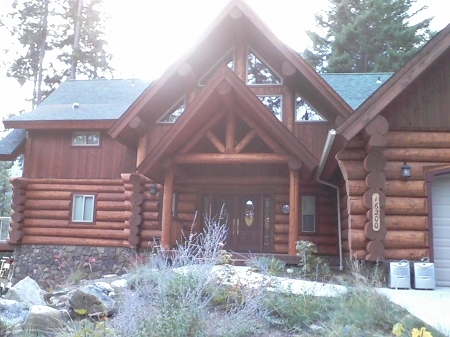 It was really easy to apply and the logs and cedar siding look spectacular... 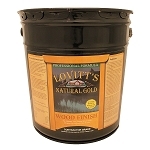 Thanks for a great product lovitt's, it did everything you said it would and it looks amazing!! The clean up with soap and water was especially great, thanks. 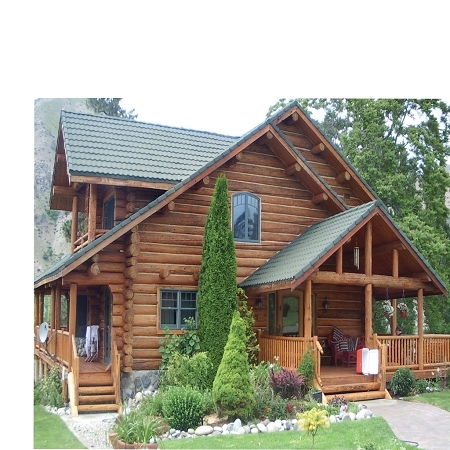 Wow my home looks great! I can't believe the wonderful results we achieved and how easy the products were to use and clean up! Thanks for the great products and all the technical support! 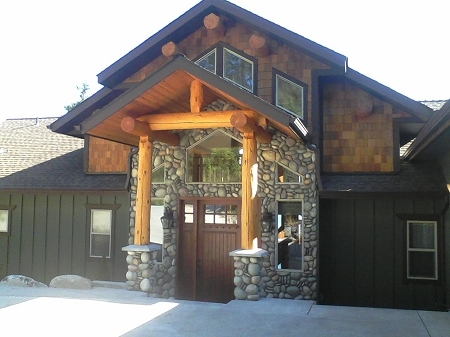 Thanks for all your help during the construction of my log home, every product I bought got here fast and I wanted to let you know the Emerald Gold looks fantastic on our cedar logs!